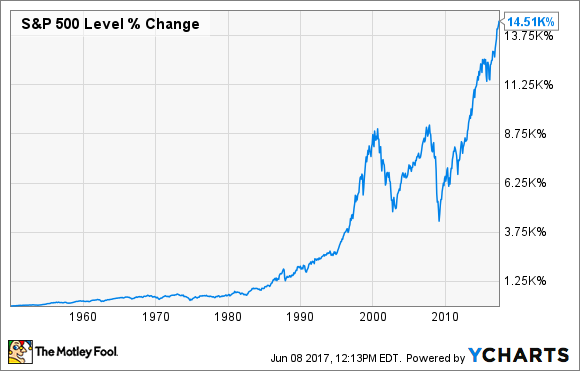 How Safe Is the Stock Market? Despite the common myth, the stock market isn't too risky, if you invest the right way. One of the most common concerns I hear from friends and family when I bring up the idea of buying stocks is, "Aren't stocks risky? I don't want to risk losing my money," or some variation of that statement. This isn't completely off-base. If you don't understand the risks involved with investing in stocks and take appropriate action to mitigate those risks, the stock market can certainly be a risky place to put your money. On the other hand, if you have a good working knowledge of the risks involved in stock investing, and invest accordingly, the stock market can be a lot safer than you might think. In all types of investing (not just with stocks), there are two major types of risk you need to know about. Systematic risk, also known as non-diversifiable risk, describes the relationship between the price of a certain investment and the market as a whole. To some degree, this is unavoidable. For example, if the stock market as a whole plunges by 10%, most of your stocks are probably going to drop as well. If you're familiar with the concept of beta, this is one metric that describes a stock's systematic risk, and whether it is more or less reactive than other stocks to overall market movements. Unsystematic, or diversifiable risk, on the other hand, is risk that has to do with the ownership of a particular investment. If you own Apple stock, for example, poor performance of the next iPhone could cause the stock to plunge. That's an unsystematic risk that's specific to Apple. As I mentioned, systematic risk refers to overall stock market risk. A perfect, and recent, example of systematic risk was the Great Recession in 2008-2009. The banking system was on the verge of collapse, unemployment was spiking, and home values were plummeting. As a result, the stock market got crushed. 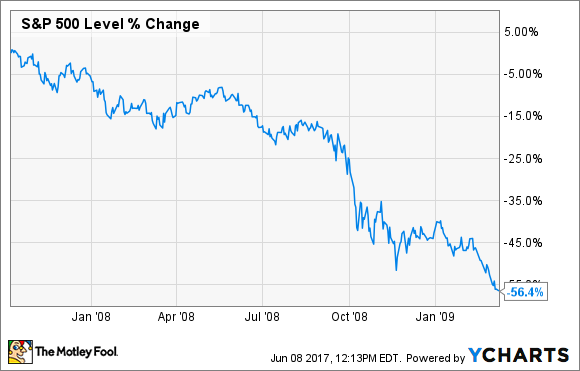 From its 2007 peak to the March 2009 lows, the S&P 500 lost about 56% of its value before it began to recover. And the vast majority of individual stocks declined during this time period. In a nutshell, systematic risk has little to do with the companies you're investing in, and more to do with widespread economic weakness. There are ways to mitigate this risk, such as by investing in stocks that are recession-resistant. However, the best way to combat systematic risk is with time. I like to tell people, "There's no market correction that's going to last 20 years." In other words, over short periods of time, it's quite common to lose significant amounts of money in the stock market. On the other hand, over long periods of time, the market has a pretty clear upward trajectory. So if you're investing for the long haul, this type of risk shouldn't be a problem. I mentioned that unsystematic risk is also known as diversifiable risk. Therefore, the best way to reduce this type of risk is to diversify your investment portfolio. If you're like most investors and buy mutual funds or ETFs, this happens automatically. For example, if you buy an S&P 500 ETF, your money will be spread out among 500 stocks, and no individual company's specific risk factors would have a major impact on your investment performance. On the other hand, if you choose to invest in individual stocks, you have a little more work to do in this area. Most experts suggest a minimum of 10-15 different stocks, in a variety of industries and with a variety of company-specific risks. As a personal example, I own Apple stock in my portfolio, and it's one of my favorite long-term investments as well as one of my largest stock positions. However, the company makes up only about 6% of my total portfolio, so even if the iPhone 8 is a total flop, it won't have a devastating effect on the value of my brokerage account. To sum it up, individual stocks can be risky. Some are less risky than others, but even the most stable stocks can fluctuate quite a bit, especially if the economy or sector hits a rough patch. And as a whole, the stock market is quite risky over short time periods. It's common for the market to fluctuate up or down by 10% in any given year. However, as a whole, and over long periods of time, the stock market is not very risky. As we've seen, the stock market tends to deliver consistent, strong performance over long time periods, so if you've properly diversified your portfolio and have a long time frame to work with, you shouldn't be too concerned with the risk involved.